The Swazi/Ray Mears Narwhal Anorak is an extremely lightweight jacket, made from the durable 2-layer Gore-Tex PacLite fabric, making it completely waterproof, windproof and highly breathable. It’s an ideal piece of clothing for lightweight backpacking, stalking, cross-country skiing, or any activity where space and weight are critical. Having been instrumental in the design and development process of this garment, we are very happy to see this project come to fruition. 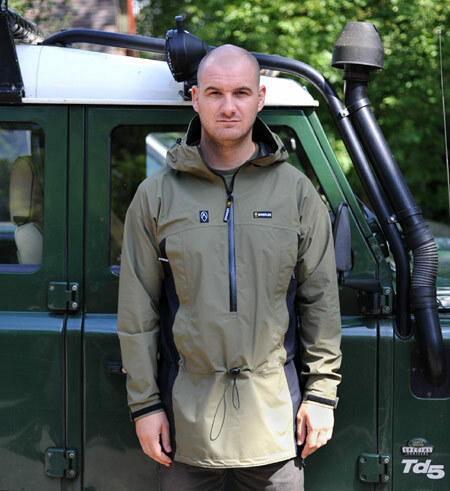 The Swazi/Ray Mears Narwhal Anorak is now available exclusively in the UK from Woodlore. This entry was posted in Bushcraft Clothing & Equipment on August 3, 2010 by Woodlore Team. Do we get to keep the model?